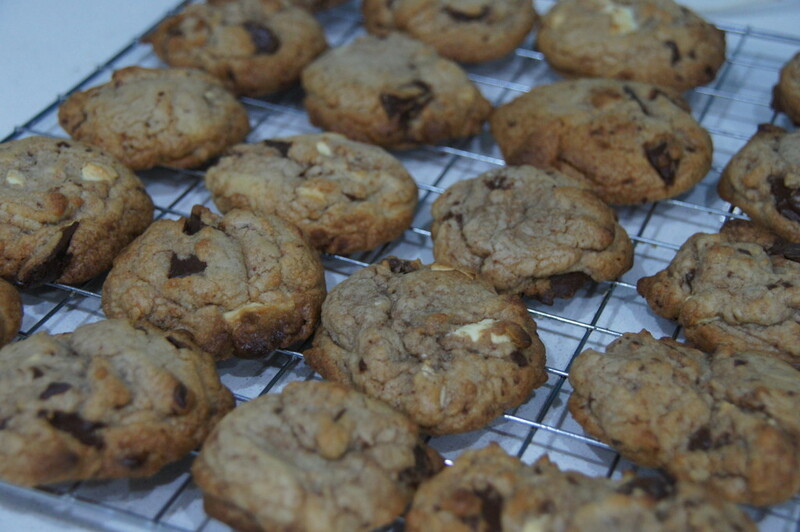 I made 20 small-sized cookies. I may have slightly overcooked them which meant they were a little more crunchy than I would like in a cookie. They are very definitely chocolatey as they have melted chocolate and chocolate chunks in the mixture and melted chocolate drizzled on top. You will need 2 baking trays to cook these in batches. 1) Heat your oven to 200C/180C fan/Gas 6. Line 1-2 baking sheets with baking parchment. 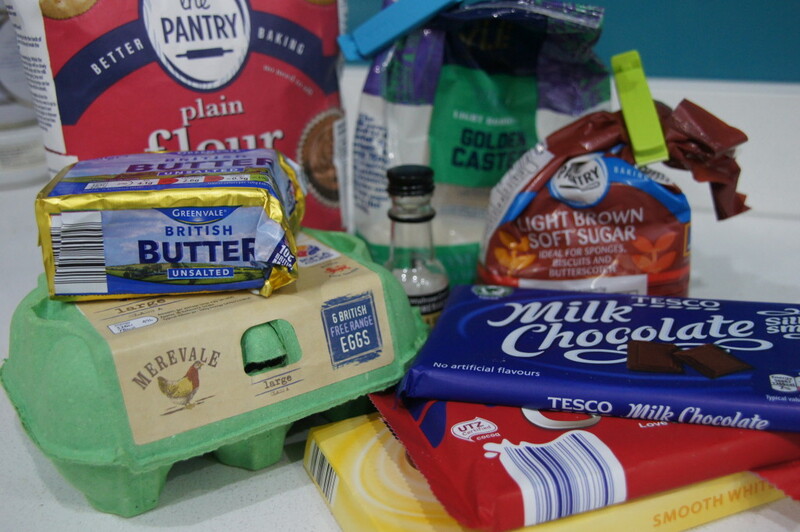 2) Mix the sugars and butter together with an electric hand whisk, then add the egg, vanilla, flour and half the melted milk chocolate and mix together. 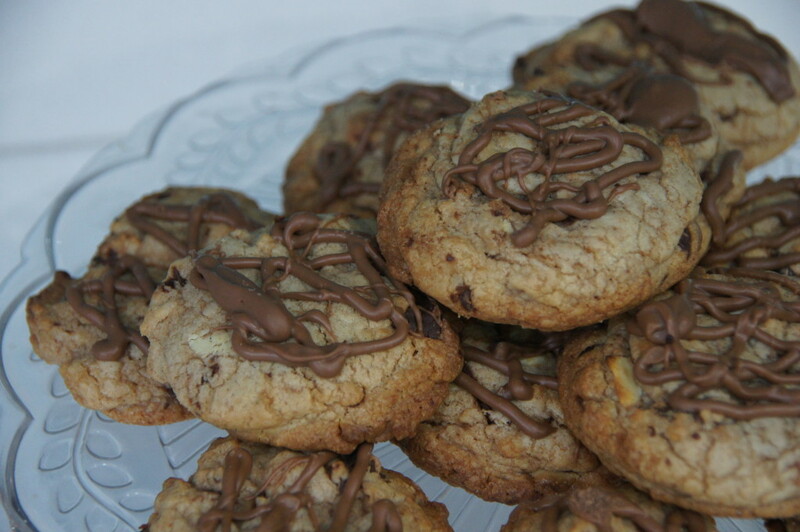 3) Stir in the white and plain chocolate chips or chunks, then use an ice-cream scoop or round tablespoon (like a measuring spoon) to scoop out balls of cookie dough and drop them straight onto the trays. 4) Bake in batches for 8-9 mins until pale golden and still soft to touch – they will firm up as they cool. 5) Carefully transfer to a wire rack as soon as they can be lifted up, then drizzle with the remaining melted chocolate (I used a piping bag and nozzle to do this).